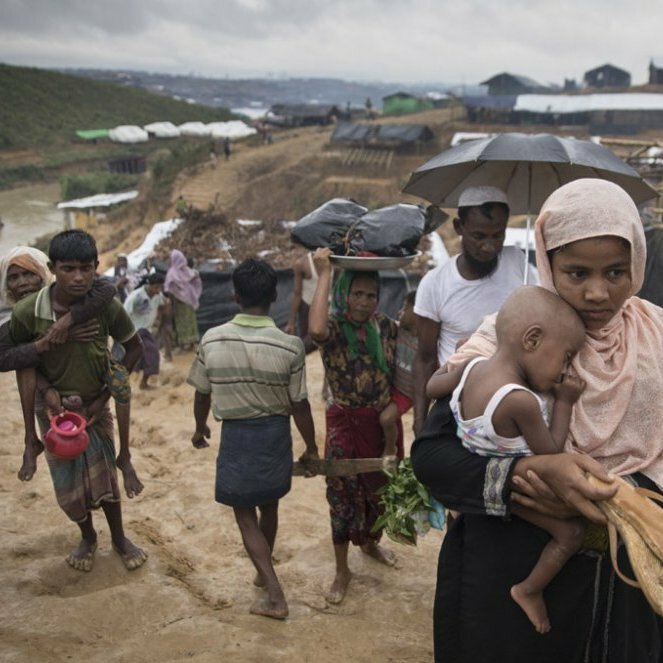 Marzuki Darusman, the Chairperson of the Independent International Fact-Finding Mission on Myanmar, told the UN Human Rights Council in Geneva that it is clear that there is “a grave humanitarian crisis” underway that requires urgent attention. In addition to the over 400,000 people who have sought refuge in Bangladesh since 25 August, Mr. Darusman noted that there are reports that nearly 200 Rohingya villages in the affected area have been emptied. As the number of those crossing the border into Bangladesh increases, the UN refugee agency (UNHCR) is ramping up its operations, including moving new arrivals into family tents and temporary communal shelters at a new extension site next to the Kutupalong camp near Cox’s Bazar. Spokesperson Duniya Aslam Khan told a news conference in Geneva that refugees have told UNHCR staff that they suffered from cold and rain during their treks from Myanmar. Meanwhile, the World Health Organization (WHO) is providing critical support to step-up health services delivery in Cox’s Bazar. Vulnerable populations require access to health services, including emergency and basic health care. Access for women to reproductive health services is especially important,” noted Dr. Poonam Khetrapal Singh, Regional Director for WHO South-East Asia.